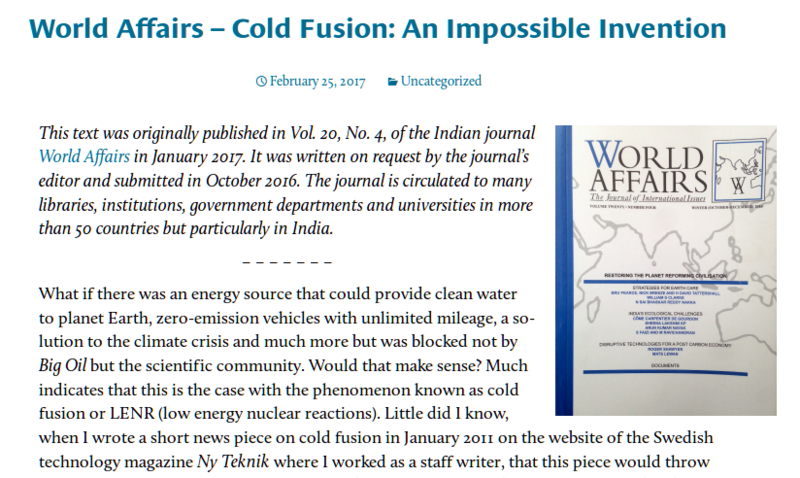 Brilliant Recap and Summary by Mats Lewan on LENR in World Affairs! Matts Lewan comes across very well in this article. It is thoughtful, careful and authoritive. Mats still haven’t had enough? I thought he would be done with lenr after Rossi episode.